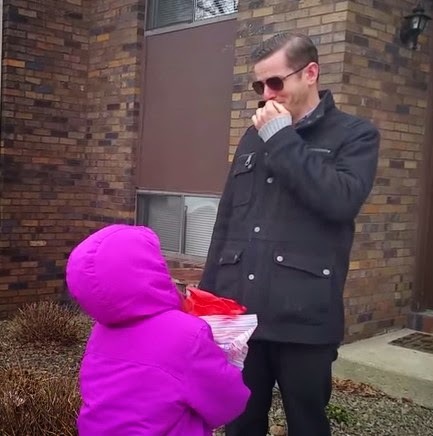 Home Main Viral News a Colorblind guy used EnChroma glasses to see the beautifull face of his child. a Colorblind guy used EnChroma glasses to see the beautifull face of his child. Our eyes can make us see the beauty and color of life. Without it life would be dull and empty. Some people have eyes, but for some medical reason they can’t see colors, they can only see images. The father’s initial reaction when he first saw the color of life is very touching. He was so emotional that he can’t seem to find the right words to express how he really feels. After putting on the glasses which he received as a birthday gift, he can now see the color of his children’s eyes, the color of his children’s dress.